How B2B took my Business to the Next Level. Anyday is a replication of the day before. I’am a small-time trader of Red Chillies, a medium sized shop in a street filled with similar trading posts that sell the exact same commodities as I do. The concept of a loyal customer base is a vague assumption. People and businesses buy from me if my shop catches their fancy- or the Red Chillies I sell are red enough. I cannot assure that the stocks I buy will be profitably sold, or that I have any real control on my income. I don’t possess a business wherein active promotion is a need or a compulsion. Business relationships are built; valuable patrons are gained on the back of the Quality that I assure. And, Quality is what I steadfastly adhere to. I hear a lot about B2B, about B2B Marketplace and being able to trade with businesses from across the world. I’am also told that it is easy- you don’t need a lot of computer knowledge to setup a simple, FREE account on a B2B website like Toboc.com. Once registered, I can check for the demand for Red Chillies across 210 different countries. I can choose a buyer, from a country, wherein my Red Chillies will earn the highest selling price. I can actively communicate with buyers and sellers, creating good trade partnerships and learning the tricks of selling for a profit. All this, I can run from a simple personal computer or a laptop. Since, I don’t need a computer myself; I might drop into my local cyber center to run my online B2B trading. Sounds interesting, isn’t it? The transformation has been instant- I’am a fan of B2B now. Initially, I was cautious about joining up Toboc.com but their excellent customer service made me feel right at home. Whenever I had a query, I could easily communicate with them. I posted impressive pictures of samples of my Red Chillies, filled out my profile information and scanned the website for requirements posted by buyers. I myself initiated communication with some traders from Morocco and have added them to my network on the website- gaining valuable knowledge and experience in the process. Finally, I rejoiced when a trader from China ordered a big consignment of Red Chillies by paying a price that I could not have expected through my traditional methods. Transporting my goods to the buyer was easy too- on Toboc.com there is a separate section for ‘Transporters’, I could hire the services of a very professional transportation company so very easily. Like I said- I’am now a fan of B2B. And I suggest you to try the same. Afterall, with a FREE account, there is a lot to gain and nothing to lose. 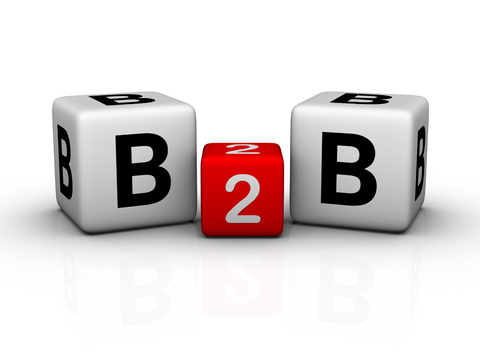 ← Confessions of a B2B marketer- B2B is Easy!